Many conventional gas-turbine power-generation systems employ the so-called Brayton power cycle. Air is compressed, mixed with fuel and burned in a combustor, and then expanded through a turbine to produce useful work. Almost 2/3rds of the expansion work drives the compressor. Only the remaining 1/3rd is used to generate electric power. The exhaust gas exits at a high temperature. Thus a large amount of energy is wasted. To maintain the temperature of the gas entering the turbine at an acceptably low level (1100°C-1500°C), a very large amount of excess air—over and above the amount of oxygen required for combustion–needs to be fed into the process through the compressor. This air absorbs some of the excess heat produced in the reactor. But this extra air has to be compressed and later expanded in the turbine. Some efficiency is lost through this. The most important effect is to greatly increase the size and cost of the compressor to more than half of the total capital cost of the hardware. With high excess air, pollutant gases, mainly CO and NOx are often produced at unacceptably high levels. The temperature of the gas leaving the combustor is difficult to control accurately. This causes operational problems in controlling the overall system. At off-peak loads the temperature of the gas entering the turbine drops, reducing efficiency. This cyclic temperature variation further increases corrosion and maintenance. At off-peak electrical loads the efficiency of the cycle falls off quite rapidly. Since such power generation systems often operate at less than peak load, this has an adverse effect on the average cost of the electricity produced. How do we improve the performance of such a process? By clever use of water and steam injection at one or more points in the cycle. uses some of the otherwise-wasted heat in the exhaust gas to produce steam. This then drives a second (steam) turbine, improving efficiency. Because of its high efficiency, Combined Cycle power plants are widely implemented, mostly in very large base load power plants. This doesn’t change the need for excess air to be passed through the compressor. The separate steam turbine adds extra capital cost. This has to be weighed against the extra power generated. The problem of pollutants isn’t changed. The heat recovery system for the exhaust gas is moderately efficient. Only a limited amount of steam can be produced. The exit exhaust gas temperature still remains relatively high, thus wasting energy. The problems of control and off-peak load performance are unchanged. This generates steam like the Combined Cycle. The steam produced is injected back into the combustor, reducing the amount of excess air that needs to be compressed and reexpanded. This cycle has been installed in a few hundred sites. There is a limit to the amount of steam that can be produced from the waste heat of the flue gases. Thus quite a bit of excess air is still needed to cool the combustion. Heat recovery is still only moderately efficient. The water injected is usually lost as steam in the flue gas. This typically requires continued injection of treated water back into the cycle. The control and off-peak load problems are unchanged. Water is sprayed into the compressed air either between compression stages and/or after compression. In the first case, this cools the compressed air which reduces the compression work. In the second case, this reduces the air temperature for more effective heat recovery from the exhaust gas. 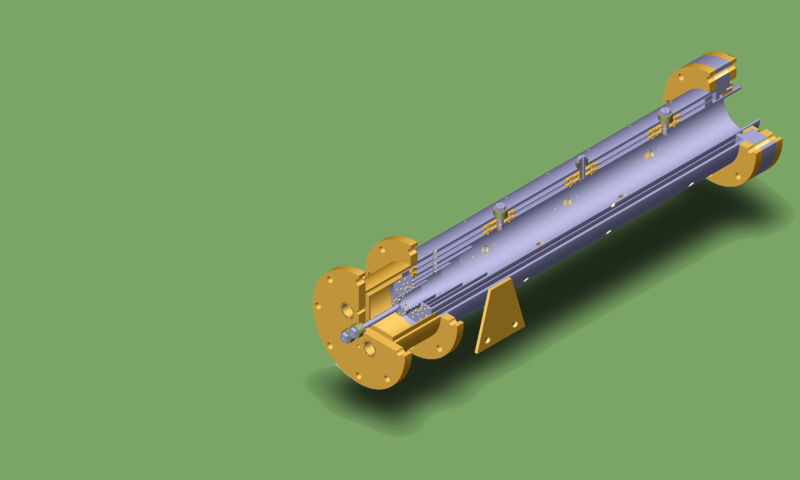 A recuperator (heat exchanger) is used to recover some of the waste heat in the exhaust stream. Rolls-Royce worked to commercialize this cycle. It is similar to the GE Sprint system. In some systems enough water is injected to form a mist. Only a moderate amount of water can be injected, limited by the amount required to saturate the air stream. Quite a bit of excess air is still used. There is something of a trade-off because of the use of a recuperator (heat exchanger) to recover some of the exhaust gas waste heat. On the one hand, the heat recovery improves the efficiency (power per mass of fuel) of the cycle. On the other, the resulting hotter humidified air has less cooling effect in the combustor and thus requires more excess air to be compressed and used for cooling. This increases the capital cost of the compressor. There is still only a limited amount of waste heat recovered. The water injected is lost as steam in the exhaust gas. This requires a continual use of treated water added into the cycle. Air entering the cycle is first compressed and then cooled by heat exchange with cooler water. Then it is introduced to the bottom of a packed column. Water flows downward through that column and contacts and humidifies the rising air, essentially saturating it. This air is again heated and sent to the combustor. This is a very efficient method of humidifying a gas stream. It permits introducing more water introduced into that stream than with other methods. An experimental plant based on this concept was built in Lund Sweden. Hitachi is building a pilot “Advanced HAT” cycle. Apparently there are as yet no full-scale commercial implementations. Although more water can be injected than in the RWI cycle, the amount is still limited to that which saturates the compressed air. Thus considerable more excess air is still needed to control the turbine inlet temperature. The pressurized humidification tower increases the capital costs of this cycle. Some make-up water is still needed and must be treated. In spite of the limitations of this cycle, for the machines we studied in our recent calculations, this seems to be both the most thermodynamically efficient cycle (converts most fuel into electrical energy). It may be most cost effective (lowest cost per kWh produced) for large base load “power-only” cycles that produce only electric power. However, (1) the VAST cycle has other offsetting advantages as discussed below, and (2) for Combined Heat and Power (CHP) cycles that produce both heat and electricity, the VAST cycles appear to be superior. This is a simplified version of the HAT cycle. Seven heat exchangers are replaced by four and water is directly injected between two compressor stages. This cycle is less thermodynamically efficient than the HAT cycle, but the reduction in capital costs makes it a more cost effective cycle in some applications. This cycle has not yet been implemented. Its drawbacks are similar to the HAT cycle although economic performance appears to be improved because of the reduced capital cost. The amount of steam injected in Cheng/STIG cycles has been limited by the fact that in conventional combustors there is an upper limit to the allowable concentration of water vapor in order for stable burning to take place. Early STIG cycles operated at ~1:1 water-to-fuel ratios. More recently some cycles have reached levels near 2:1. However, the thermodynamic limit is more like 6.76:1 (at a turbine inlet temperature of 1120 °C). Experimental VAST combustors have achieved water:fuel ratios up to 20:1 at lower exit temperatures. Assuming stable combustion can be achieved—this FSTIG cycle is much more efficient than the conventional STIG cycle. VAST cycles preferably us most or all the steam into the combustor, and inject more liquid water at various points in the cycle. VAST uses water to displace most of the remaining excess air and to control combustion temperature. Injecting water directly into the combustor and upstream into the compressor is the most important. VAST cycles usually recover excess water from the exhaust. High water concentrations in the exhaust make water recovery much easier in VAST cycles. More total water (liquid or liquid + steam) can be injected than for any of the competing cycles. This greatly reduces or virtually eliminates the excess air that must be compressed and reexpanded. This strongly reduces the compressor size and cost while improving the cycle efficiency. By injecting water and/or steam at various points, its amounts and temperatures can be chosen to give a more optimum cycle. By careful arrangement and sizing of equipment and choice of operating conditions, there is more thorough recovery of otherwise-wasted heat. This can produce more useful power or provide more useful heat. More careful attention to water recovery reduces or eliminates the cost of fresh water treatment. Water recovery can be crucial in locations where large quantities of fresh water are not available. Because combustion forms water, it is possible to recover more water than is injected. Exporting net potable water offers revenue and a source of valuable water in deserts. In addition to these economic benefits there are a number of additional benefits which come from water/steam injection and the high concentration of water in the combustor. Pollutant emissions are drastically reduced. This alone may make VAST cycles more economically attractive than other cycles. Existing higher temperature combustors must use expensive SCR’s (Selective Catalytic Reduction units) in their cycles to achieve current or future legislated emissions levels. VAST avoids SCR operating costs of ammonia and related its particulate generation. The temperature of the hot gas leaving the combustor is more easily and much more accurately controlled. Safely using higher temperature improves turbine efficiency. Distributed injection ensures very stable operation, with much quieter (>30 dB lower ) operation. This strongly reduces the acoustic caused combustor fatigue, shape change, and failure, which have destroyed other turbines. VAST keeps the hot gas exit temperature highly constant over widely varying power loads. This increases efficiency and the life of the turbine blades and other hot section components. High water recovery may reduce or eliminate the problem of the exhaust causing a visible plume (condensed water). Although the HAT and related cycles may be more efficient for power-only applications, VAST CHP cycles appear to have distinct advantages over all others when it comes to combined heat and power applications (CHP). This also includes the production of refrigeration. This may be the most promising application for VAST cycles and VAST Power Systems is in the process of obtaining patents for this new technology. Development of effective VAST cycles depends on the ability to design and construct combustors into which water and/or steam can be injected in such as way that adequate mixing of these fluids with the fuel and air streams takes place and that stable combustion is maintained. Combustors must also keep pollutants at very low levels. VAST Power Systems has addressed these problems and has either patented or is applying for patents covering their solutions. One other important problem is possible corrosion in high temperature equipment due to high levels of steam in the energetic gas streams. It is encouraging to note that other gas turbine designs are now incorporating higher levels of water with manageable corrosion issues. Other researchers have been identifying the causes and developing solutions. Therefore corrosion either may not be a problem or else solutions may be available. A final issue has to do with the difference in compressor and turbine flow in VAST power cycles compared to conventional systems. VAST cycles permit very much larger turbine expanders for a given compressor (or smaller compressors for existing expanders.) This is an important savings in capital costs. However, making a careful match between two such machines is not a straightforward task. VAST is also addressing these issues and is proposing possible solutions. VAST cycles increasingly compete with both base load combined cycle may not have quite the highest efficiencies or highest returns for base load power-only applications. However, VAST cycles have a decided advantage when it comes to pollutant emissions. They also have other offsetting advantages including control, flexible off-design operation and performance, and water recovery. The most promising application for VAST cycles appears to be in combined heat and power applications. This new technology should make them the cycles of choice in a wide variety of CHP applications.